From an early age Dr. Brian recognized that health comes from within and that natural methods should be the norm. Dr. Brian has always been a firm believer that diet, nutrition, exercise, a good mental and spiritual approach to life and a well functioning Central Nervous System are all that anyone needs. The body has a natural ability to heal itself. However, in our society people have been programed to believe they need drugs to heal. (ie: from the outside) or believe they have no control over their body. This just isn’t true, they just need guidance and proper information about what to do. Once applied, the body can begin to heal itself from the inside out. 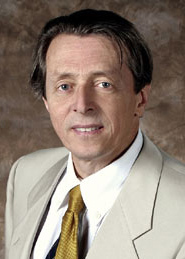 Dr. Brian has been a practicing chiropractor since 1978 and is the founder of Moore Chiropractic Group. Amazingly enough, after all these years, Dr. Moore’s passion for chiropractic continues to grow stronger as he studies with the true masters and learns from them what chiropractic is truly about. He carries this into his practice by sharing with his patients what he has learned about the chiropractic lifestyle including living in the optimal physical, emotional and spiritual balance from above down, inside out. Dr. Moore personally delivers a wide range of services in his Aurora chiropractic office including diagnostic consultations, chiropractic adjustments, nutritional counseling, sports injury therapy and much more. In addition he implemented the first non surgical spinal decompression program in Ontario. Today, the clinic has three Vax-D tables including the only cervical table in Canada that assist patients with chronic low back pain and discogenic pain. Patients who don’t want surgery come to Moore Chiropractic. Dr. Moore holds a F.I.A.C.A. status through the International Academy of Clinical Acupuncture and is a Certified VAX-D Consultant (the only one in Canada). He is continually learning and attending conferences to explore the latest advances in technique, diagnostics and technology solutions for optimal health and nutrition. Dr. Moore is currently operates the Innate Chiropractic Society where he supervises the society and is engaged in securing inspirational speakers. As a riding delegate for the Ontario Chiropractic Association Dr. Moore is actively involved at Queen’s Park with numerous MPPs discussing regulation and policy endorsing patient access and active health for the people of Ontario. Member of the College of Chiropractors of Ontario, The Canadian Chiropractic Association and the Ontario Chiropractic Association. Dr. Moore holds an international license to practice chiropractic in the United States and particularly in the State of Colorado. Away from the office Dr. Moore can often be found in Collingwood on ski hills, as he is a Certified level 3 ski instructor, level 2 coach and a course conductor. In the summer months he frequents the Muskokas. Dr. Moore has 2 grown children, heavily involved in the Chiropractic profession. He is actively involved in many political circles in an attempt to better Ontario’s health care system, and if you look closely in the Canada Day parade and the Santa Clause parade you will often find Dr. Moore walking the parade with one organization or another often dressed in costume! Thanks for visiting our site. We look forward to meeting you in person and learning how we may be of service to you. Give our Aurora chiropractic office a call, or email us using the link below and let’s arrange a time to explore your options.